Ralph McQuarrie is the most iconic artist in the history of Star Wars. He worked hand-in-hand with George Lucas to help establish the saga’s visual aesthetic, its inimitable look and feel. 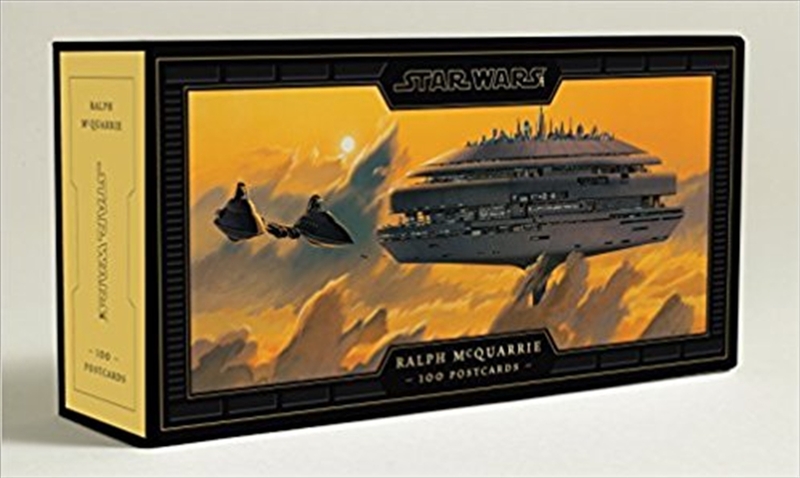 Carefully selected from the definitive volume, Star Wars Art: Ralph McQuarrie, these postcards are a celebration of Star Wars as a masterpiece of design and world-building. The deluxe keepsake package also functions as a display frame: the box features a die-cut window, so fans can rotate their favorite production design paintings into view.